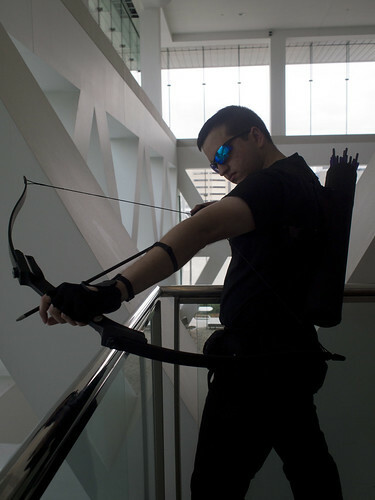 And here are the photos I took of Mike in his Hawkeye costume at Baltimore Comic Con. 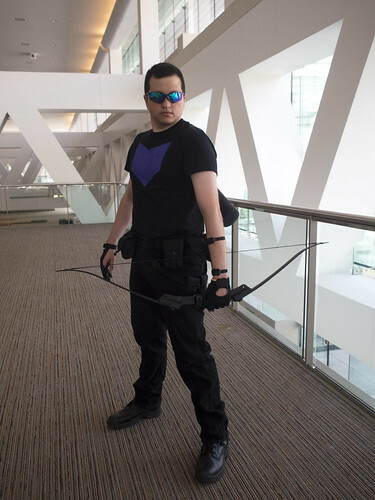 He really loved wearing this, especially because the utility belt=tons of pockets! 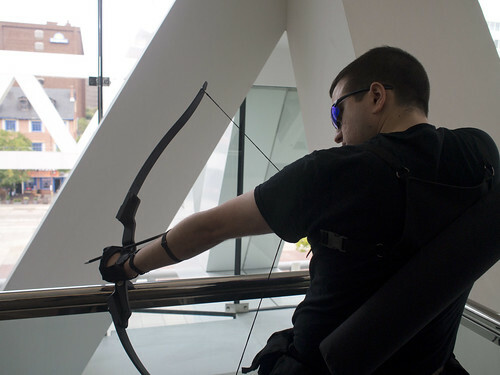 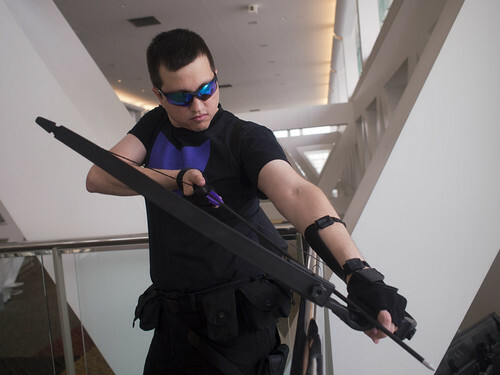 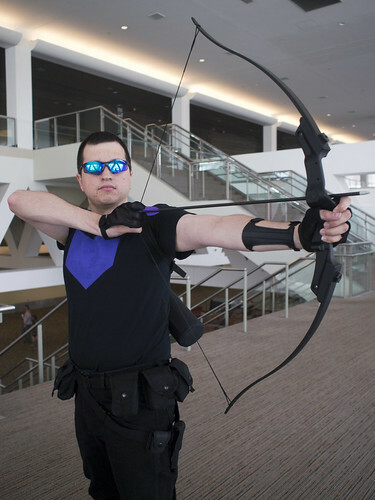 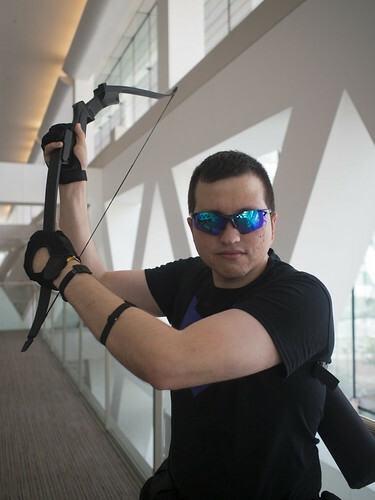 Lots of folks were happy to see Mike cosplaying this Hawkeye version. 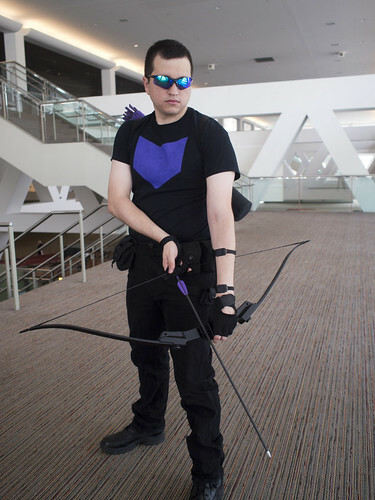 Except the one vendor who got in his face saying that the old blue/purple outfit was the best. 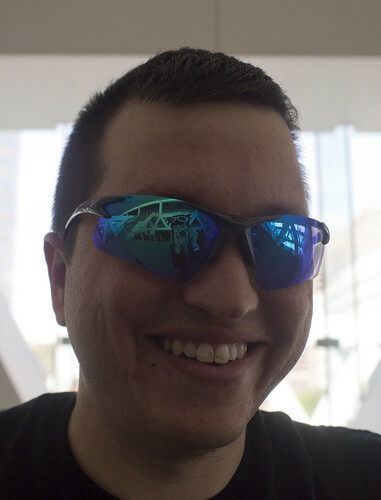 But it was all in good fun. 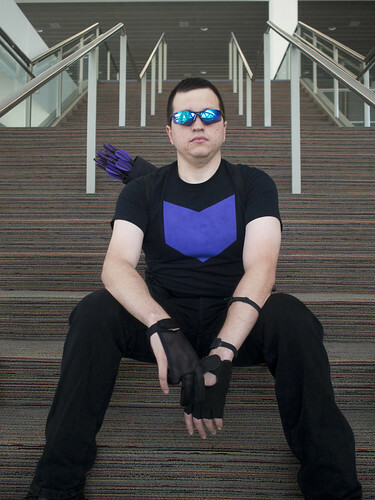 You can see my reflection in his glasses here.